Chester Arthur became the twenty-first President on September 19, 1881 when President James Garfield succumbed to his gunshot wounds. Garfield was shot in a Washington, DC train station by Charles Guiteau on July 2, 1881. Arthur was elected Vice President of the United States on a ticket with Garfield in 1880. The Constitution of the United States requires that to be eligible to hold the office of Vice President or President one has to be born in the United States . His country of birth is very much in doubt. No birth certificate has ever been produced that proves he was American by birth. His father immigrated to Quebec, Canada and raised his family there, before moving to Vermont. It is claimed that his son Chester was born in a cabin in Fairfield, Vermont in 1829. Fairfield is only a few miles from the Canadian/US border. Many of his opponents accused him of not being eligible to be Vice President or President because he was a British citizen born in Canada. No undeniable proof has ever been brought forth either way. Arthur himself neither denied or defended his eligibility. He remained silent on the issue. The Arthur family bible held by the Library of Congress has family entries showing his birth as Fairfield, but this is not irrefutable proof. His father wanted him badly to be an American and that is why the family moved to Vermont. He also encouraged Chester in his political career. Another author, Thomas C. Reeves wrote a biography of Arthur, “Gentleman Boss: the life of Chester Alan Arthur, New York: Knopf, 1975”. He dismisses Hinman’s theory but admits that Arthur lied about his age. This would have had no effect on his eligibility for the Presidency though. Perhaps we will never know the entire truth, but it was extremely easy to cross the border in 1829 and accurate birth records were not kept in either Canada or the U.S. Canada was a British Colony until 1867 so if he was born in Canada in 1829 he would technically be a British citizen, still ineligible to hold either the office of Vice President or President of the United States. 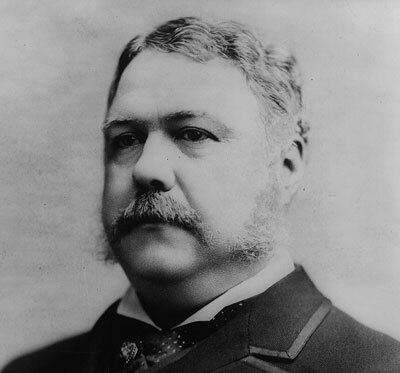 Chester A. Arthur was very likely an illegal President who should not have been allowed to hold the office. At the very least he should have been asked to prove his birth before being nominated in 1880 as his party’s Vice Presidential candidate. Another historical mystery that remains unsolved. President Arthur had a fatal kidney disease. He knew he was dying during his presidency. He did seek the nomination in 1884 in an effort to hide his illness, but was unsuccessful. He died in 1886, just a year after leaving the presidency. To maintain a stable democracy it is important to have a clear succession procedure in the event of the death of the president. (Left: President William Henry Harrison, first President to die in office.) This also applies to a resignation or removal from office (impeachment). When these types of events occur it is usually a time of confusion and vulnerability for the government. Again let’s look at what the Constitution of the United States laid out for these contingencies. Keep in mind that this is what was in the original Constitution. Amendments were made later to clarify presidential succession. I will discuss those later on. This section did not clearly state that the Vice President automatically became President on the death, removal from office, or resignation of the President. In fact it seems to say that the Vice President would only be an “acting” President until they could elect a new President. Very much subject to interpretation. 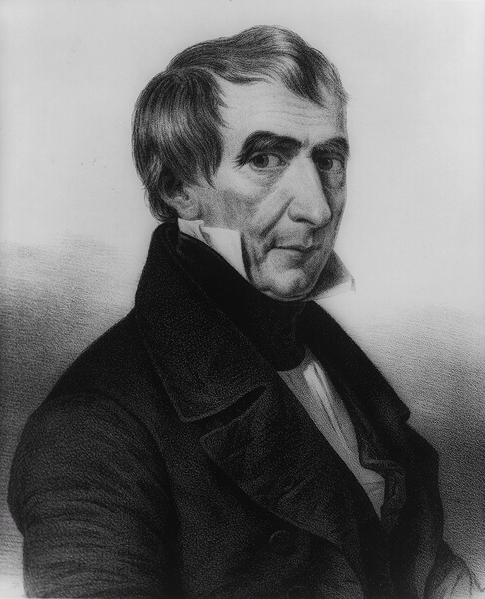 The first test of this took place when President William Henry Harrison died one month after taking office in 1841. 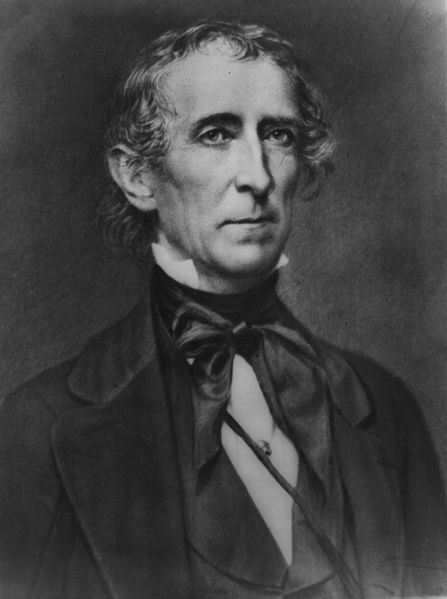 His Vice President John Tyler was not liked and when he took it upon himself to take the “Oath of Office”, there was confusion and great controversy. Many in the Congress attempted to nullify the oath taking and appoint their own choice for President. Finally a vote in the House of Representatives confirmed him as President and his presidency was formally recognized. What this did was effectively set a precedent in law. Constitutionally it was still foggy and should someone mount a serious challenge to a succession in the future it might succeed. The Twenty-Fifth Amendment to the Constitution modified Article II, Section 1, but this was not ratified until February 23, 1967. After President Kennedy’s assassination on November 22, 1963 lawmakers realized that a clearer succession procedure was needed to avoid any future confusion or doubt as to who the new President would be. Finally there has always been confusion about what happens if a President becomes incapacitated and can’t discharge his duties. The primary point of contention has been at what point is he unable to do that and who decides that an “acting” President is needed. Several examples of this have occurred where Presidents have had minor surgery that required general anesthetic. Vice Presidents have been “Acting President for several hours. 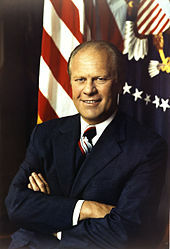 “the Vice President and a majority of either the principal officers of the executive department or of such other body as Congress may by law provide, transmit within four days to the President pro tempore of the Senate and the Speaker of the House of Representatives their written declaration that the President is unable to discharge the powers and duties of his office. Thereupon Congress shall decide the issue”. So for example if a President slipped into a coma, the Vice President would only be “Acting President”. Only on the President’s death would he officially become President. Presidential Primer #4: How long does the President serve? 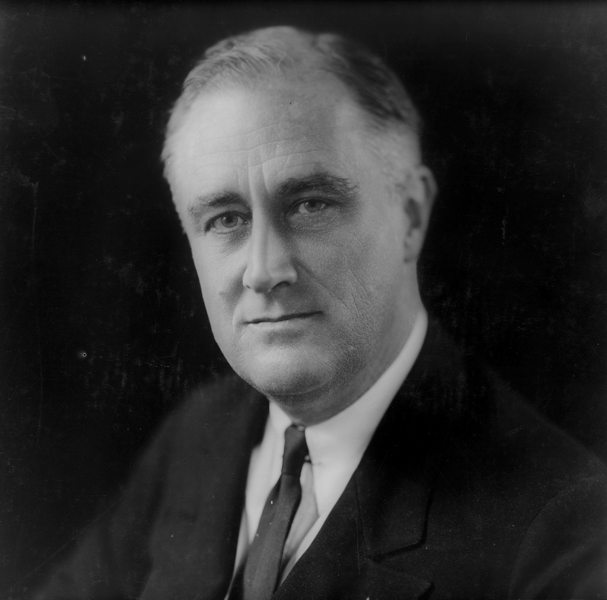 Above: Franklin Delano Roosevelt, the only person ever elected President of the United States more than twice. He was elected to four consecutive terms starting in 1933 until his death in 1945. Notice that there is no mention of the number of terms the President could serve. There were no term limits in the original Constitution. George Washington, the first President, felt strongly that one should only serve a maximum of two terms and he actually preferred only one term. He stood for election a second time only because he was told the country needed his leadership desparately in its first years. Previously their terms ended on March 4th of the year following the presidential election, but this was not a constitutional requirement. March 4, 1789 was the date that the first U.S. Congress convened in New York City, so that was the date selected for terms to end every four years. As a result of the Amendment now every four years on January 20th at noon the sitting president’s term ends and a new one is sworn in. If the incumbant president has won re-election then he too must be sworn in for his second term. 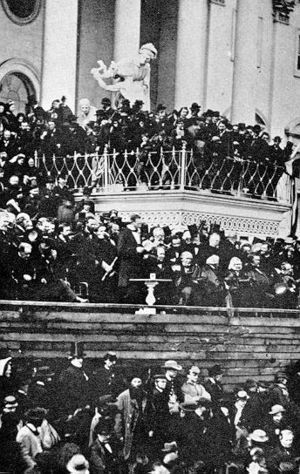 Above: President Abraham Lincoln taking his second oath of office in 1865. He is standing in the middle of the photograph. Many Presidents have served two terms. President Grover Cleveland even served two non-consecutive terms. Several have sought third terms, but were unsuccessful. Finally after 151 years (1789 to 1940) a president was elected to a third term. This man was Franklin Delano Roosevelt who in fact even went on to a fourth term in 1944. This was unprecedented in American history. Truman had assumed the Presidency only one year into FDR’s fourth term (1945) so normally he would not be able to seek a second election. However, he was exempted by this Section. He did seek a second election but was unsuccessful. That is why George W. Bush the sitting President as this is written, never again will be eligible to be elected President. The same holds true for the another recent two term President, Bill Clinton. Clinton is still relatively young but this amendment prevents him from trying again. As an update to my post of a couple of days ago. The accused killer of Constable Worden was captured Friday October 12 in a low-income housing complex in Edmonton, Alberta. He was apprehended without incident and appeared unharmed as he was taken away in a police cruiser. Now if the justice system will only work. The U.S Does Not Torture. Right! President Bush recently made a public statement that the United States does not torture captive terrorists. Forgive me for being just a little bit sceptical. Think about this scenario for a second. The CIA captures a terrorist. They have reliable information that he has just planted a 20 megaton nuclear warhead in downtown Manhattan. Now obviously this person is not going to voluntarily devulge the location of the bomb. Hell he’s planning on going to his “paradise” along with the other 5 or 6 million Americans he will kill. I leave it to you the reader to think about that scenario. Hopefully we will never have to face it. Never say never. Torture is not something we like to see as a democratic society, but the greater good must come first. Titan the largest moon of Saturn was one of the places I wanted to visit before I died. Yesterday after reading an article on CNN and MSNBC about the local climate I am definitely erasing it from my list. It is the only moon known to have a dense atmosphere, and the only object other than Earth for which clear evidence of stable bodies of surface liquid has been found. Titan was the first known moon of Saturn, discovered in 1655 by the Dutch astronomer Christiaan Huygens. The Cassini–Huygens spacecraft reached Saturn on July 1, 2004. Since then it has been mapping the moon. 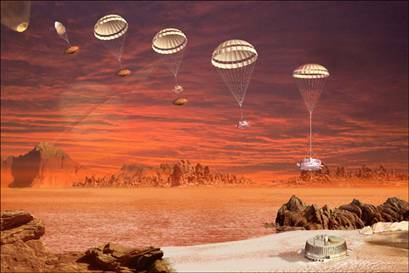 A landing probe was released and descended to the surface. Scientists thought that the surface consisted of liquid methane, but guess what the probe landed in a sea of solid mud. Most days on Titan begin with a cool temperature of nearly 300 degrees below zero. Next comes a steady drizzle of methane. On earth this is an explosive gas, but on Titan is chilled into a liquid. 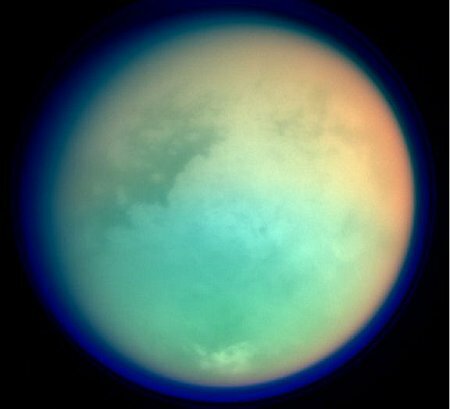 Scientists believe that Titan has weather patterns similar to Earth. We thought the weather was bad here. By the way when it warms up later in the day, the methane drizzle likely turns into ground mist. I think I will head for more moderate climes when I travel. Titan may be interesting to scientists, but this tourist will take a pass. Cop Killer? Manhunt on for career criminal. Here we go again another criminal with a lengthy criminal record is released by the justice system. Guess what? This time it came back to bite them and hard. Constable John Worden of the RCMP detachment in Hay River, Northwest Territories paid the price for the justice system’s lax handling of these criminals. Early Saturday morning October 6, 2007 Constable Worden was responding to a noise complaint in an area of Hay River known to be a hot-bed of crack cocaine and meth activity. He responded alone, apparently at his own choice. A few minutes later he was shot dead, most likely at the hands of Emrah Bulatci, 23. 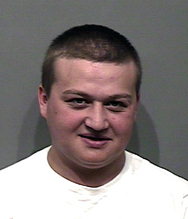 Bulatci was known to the RCMP and was arrested many times previously for drug and weapons charges. He was released on bail. Subsequent to that he was arrested again for breaking his conditions of bail. Was he then held without bail? No he was released again. As this is written there is a major manhunt for Bulatci in Northern Alberta. His hometown is High Level but he has also lived previously in Edmonton and St. Albert, Alberta. Police consider him armed and dangerous. Too bad the courts didn’t. Now Constable Worden’s family must suffer the consequences. Our hearts go out to his wife and young child. Please if anyone has seen this individual contact the Royal Canadian Mounted Police immediately. Let’s hope that this time the court system comes down hard on Bulatci. 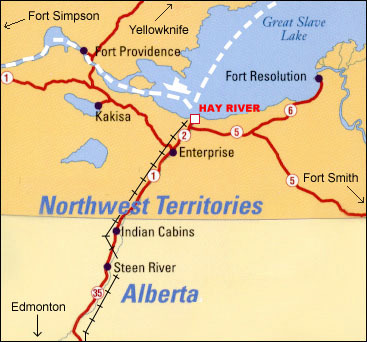 Above: location map of Hay River, NWT downloaded from their official site. You are currently browsing the WRITINGS & RAMBLINGS blog archives for October, 2007.